A few months ago I wrote an article about Levi Strauss & Co’s groundbreaking production move called Project F.L.X. (future-led execution) AKA, the total digitalisation of their laundry processes to create a ‘speed finishing’ center right here in the USA. Thats a chunky article and I urge you to head over here if you haven’t already familiarised yourself with the subject. 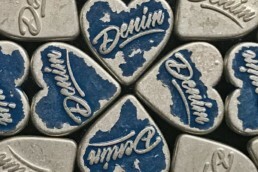 But for those with short attention spans here are the basics: by creating their own library of unique wear patterns, whiskering, abrasion and damage artworks and digitalising them, Levi’s can laser a multitude of realistic laundries onto large batches of jeans at a time using Spanish company Jeanologia’s machinery. 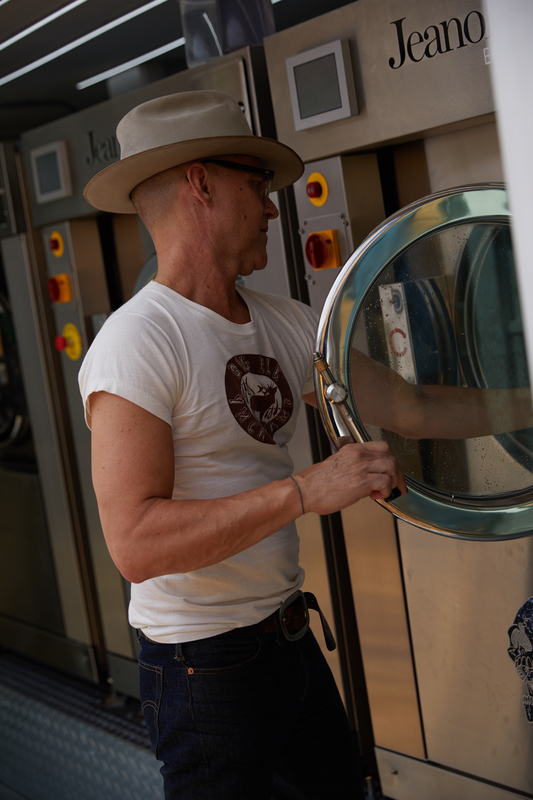 It means great things for the environment (cutting out tons of harmful chemicals and almost all water) and it makes denim production agile and flexible much like a fast fashion model. But with more integrity and better quality. Yay! But what I’m going to talk about today is, in a way, the ‘fun’ side effect of that very serious and monumental business decision. The fun part is that if you speed up a process and make it easy to manipulate, then can’t you make it ‘on demand’? Thats the very question I asked Bart Sights, the vice president of technical innovation at Eureka Lab, when I went to interview him back in February. Bart Sights at the Customisation Studio in DTLA last week. Photo by Justin Chung. 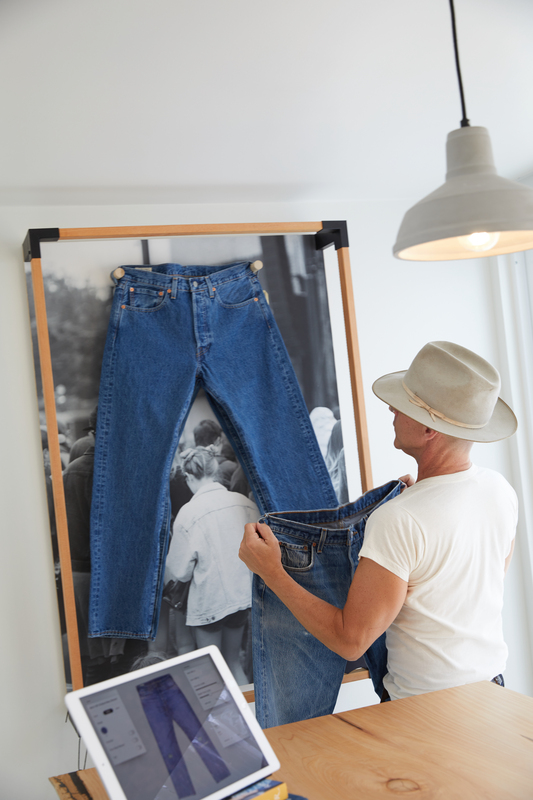 When I fully understood the nature of this new process my mind immediately leapt to an evolution of the current Levi’s Tailor Shop and the opportunity for customers to choose their own unique laundries and watch them come to life from start to finish in a couple of hours. At the time, Bart gave me a secret little smile and said ‘well yes, thats what we hope to try in the future….’ but I had the impression it was a ‘some time down the line’ kind of a statement. When a Levi’s email hit my inbox last week, the last thing I expected was news of a fully working FLX customisation studio already set up in an empty parking lot in DTLA, but thats what I got! On a baking hot day, I wandered aimlessly down a quiet street in the Arts District and realised the address I was looking for wasn’t actually a building. It was a build-out. The customisation studio is about 800 square feet and looks much like a festival gifting suite or trade show stand. 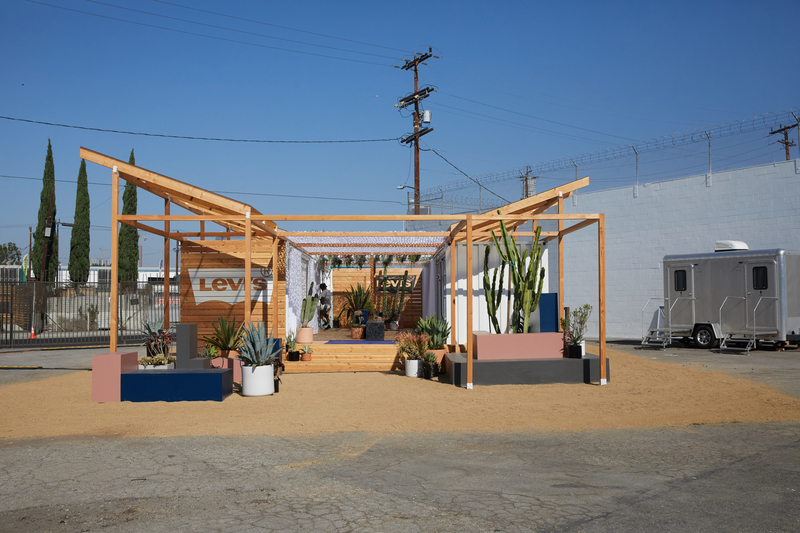 But once you get past the designer outdoors furniture, potted cacti and hanging succulents, this pop-up is a very functional future-wash laboratory. Clean white walls and steel floors house Jealonogia’s latest machinery. All wash patterns, distressing and rip designs are accessible in an iPad and with a couple of drag n drops, you can create your own personalised fades right there and then. Wander into the next room and you can watch your very own fade get lasered onto your jean in front of your eyes. 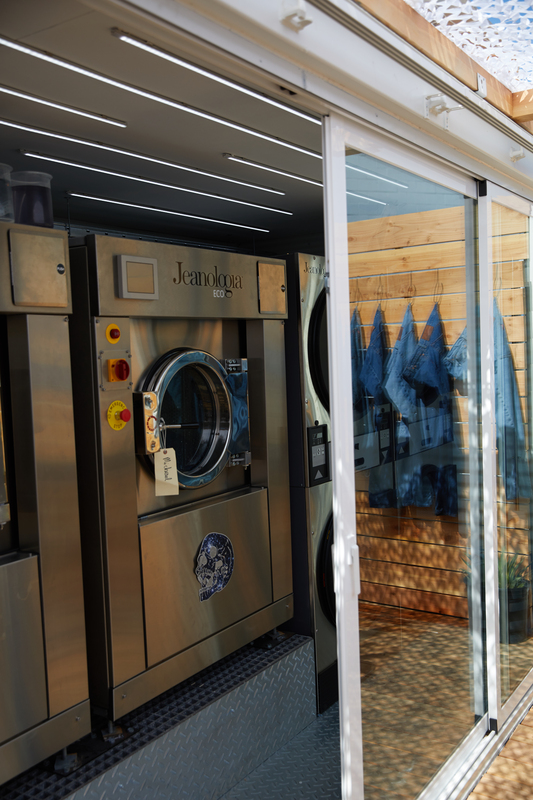 A 40 minute laundry across the succulent laden canopy and you can be holding your finished jean in your hands. It really was that simple. To see more of the actual process and to see what I made, check out my instagram feed and stories for updates today. Bart drags wash patterns, hole damage or changes the intensity of a wash on the iPad. Photo by Justin Chung. After the laser comes the rinse n tint. Photo by Justin Chung. Before you get too excited, this venture is not open to the general quite public yet. The customisation studio is by appointment only for friends of the brand and will run until October 15th. 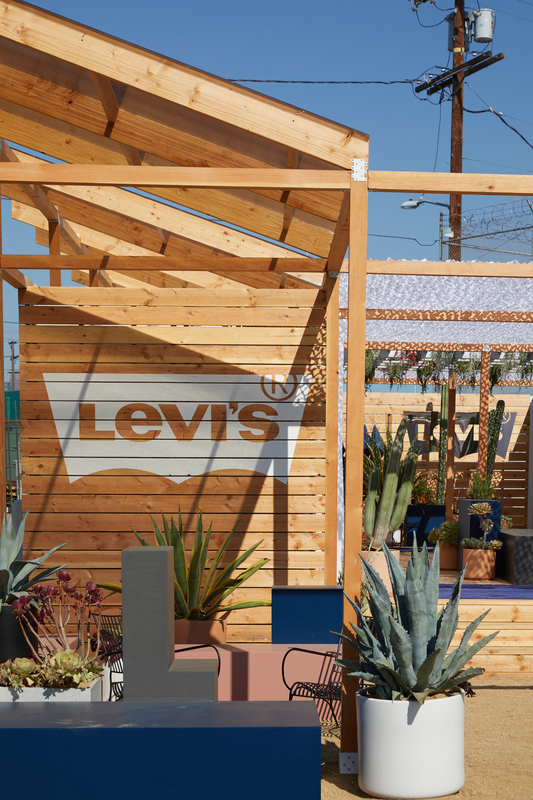 Throughout this 10-week stay, notable friends of the brand (i.e: cool people such as Karla Welch, Victor Cruz and Kelly Slater) will create limited edition pieces at the studio for weekly giveaways on Levi’s® Instagram platform starting Thursday august 16th. So super fans will have their chance to get their hands on some pretty limited runs. Its an exciting first step into what personalised and custom denim could mean in the not too distant future. Trend forecaster, denim designer, industry journalist and author of Denim Dudes. 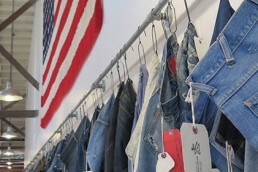 Can Los Angeles Learn from the Dutch Denimheads?